So many of us struggle with fat under the chin. It’s a common worry and one of the most frustrating struggles one can have about their body. Thankfully, there are multiple options to choose from when it comes to addressing this area. We offer three different treatments that specialize in removing fat under the chin, leaving you looking and feeling rejuvenated. If you’re interested in a double chin treatment, we want to help you make the right decision for your unique needs. Considered the most well-known of the treatment options, KYBELLA® is the first and only FDA approved injectable treatment to reduce fat under the chin. The active ingredient in KYBELLA® is synthetic deoxycholic acid, which is a naturally occurring molecule in the body that aids in the breakdown and absorption of dietary fat. 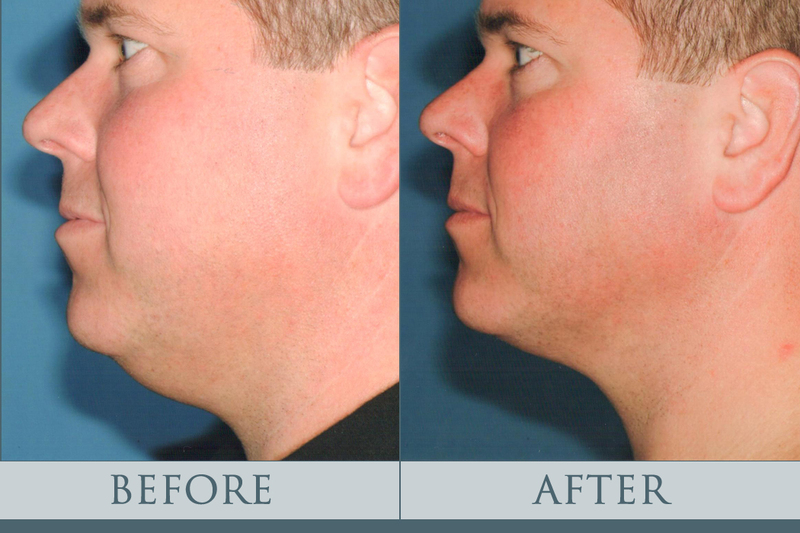 When injected into the problem area beneath the chin, KYBELLA® destroys fat cells, resulting in a noticeable reduction of fullness under the chin. Once eliminated, these cells can no longer store or accumulate fat, so there is little to no chance of regaining that double chin appearance. 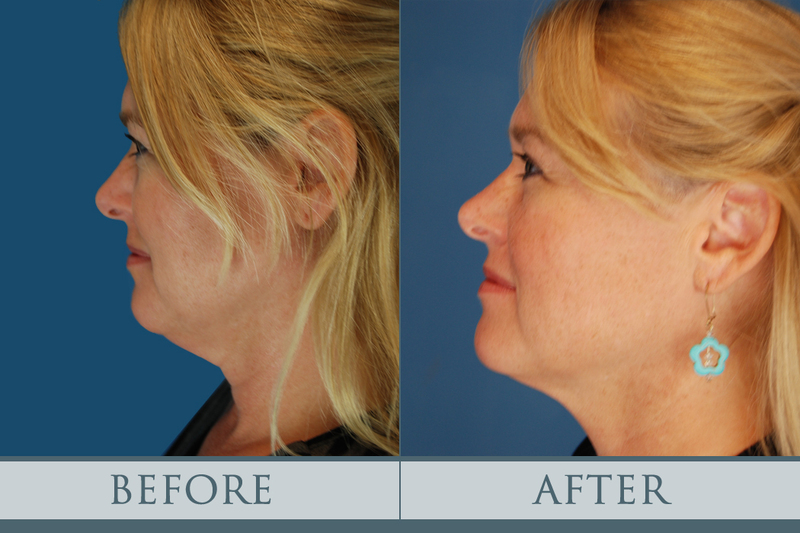 Check out the amazing results one our patients had from her KYBELLA® treatment! KYBELLA® is a relatively new procedure, so we weigh our options when helping patients decide their personal course of treatment. your body with excess fat can be treated with this procedure. Liposuction is great for the double chin area, because it leaves a very tiny, unnoticeablescar and can completely remove the fat from your body. You can see the incredible results in our before and after images below. Additionally, a facelift is another option for addressing this common problem area. 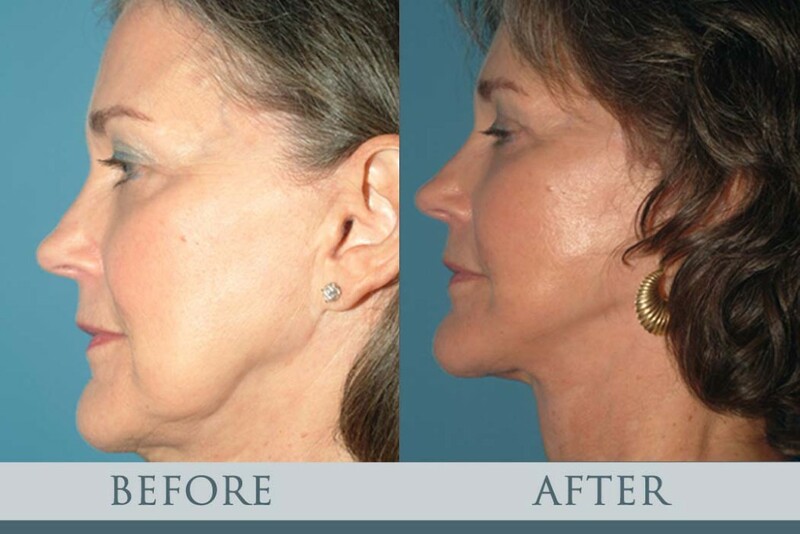 A facelift procedure improves facial signs of aging, including jowls, loose skin beneath the chin and jaw, saggy skin around the neck, excess fat throughout the lower face, and creases along the nose and mouth. The patient below chose a facelift treatment to address excess fat and loose skin under the chin and her results speak for themselves! Each option has unique benefits, and we want to help you pick the right one for you. To learn more about the treatments or schedule a consultation, please give us a call at (404) 257-9888 today!